From warehouses to large shipping yards and strip malls, we are experienced and equipped to meet your needs. Let us keep your business open every possible day this winter. Be prepared for winter's surprises, and let us help you have liability-free peace of mind. 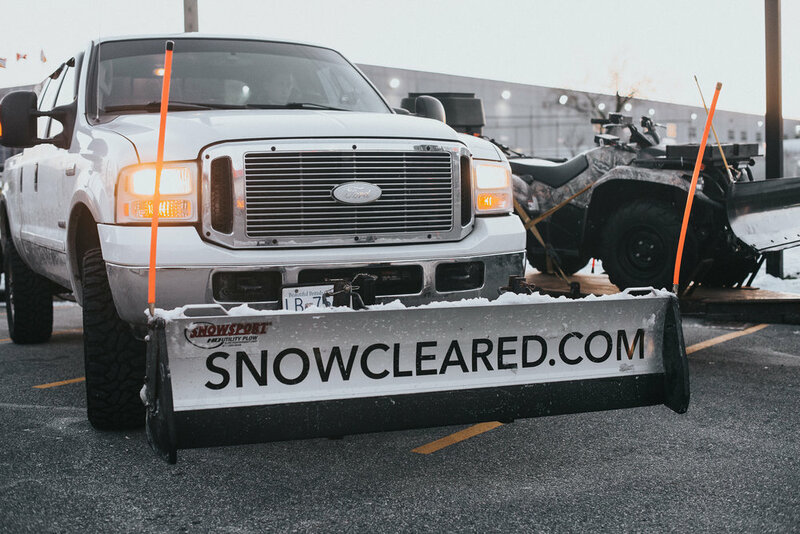 We provide snow & ice management for: White Rock, Delta, New Westminster, Langley, Aldergrove, Burnaby, Richmond, Vancouver proper, West Vancouver, North Vancouver, Coquitlam, Pitt Meadows, Maple Ridge, Port Moody, Abbotsford, Chilliwack & Mission. Regardless of the Lower Mainland's unpredictable weather, TBO'S Snow & Ice Management is committed to helping property managers keep their spaces accessible, safe, and liability-free. Our 24/7 team is trained to take all precautions necessary to protect your property. IF YOU ARE RESPONSIBLE FOR PARKING LOTS, DRIVEWAYS, FOOT PATHS, AND PUBLIC OR PRIVATE OUTDOOR SPACES, WE'RE HERE TO HELP. Employers are required to ensure their employees and any pedestrians who could be affected by their work-place (such as visitors, members of the public, patients etc.) are kept safe from harm. This means slipping and tripping hazards must be limited so that no individual is at high risk for a fall or severely jarring their body. Any legal actions brought on as a direct result of injury can be damaging to any business, especially where the public is involved. It's a daunting responsibility—and we want to help you eliminate that risk.